Beyond Ordinary Projection. Smart Projector designed for Education and Office. Full range of features will engage students and audiences with its brilliant quality and clearer picture. Go beyond your existing classroom or office technology with endless Android-based applications and integrated tools for long lasting reliability. 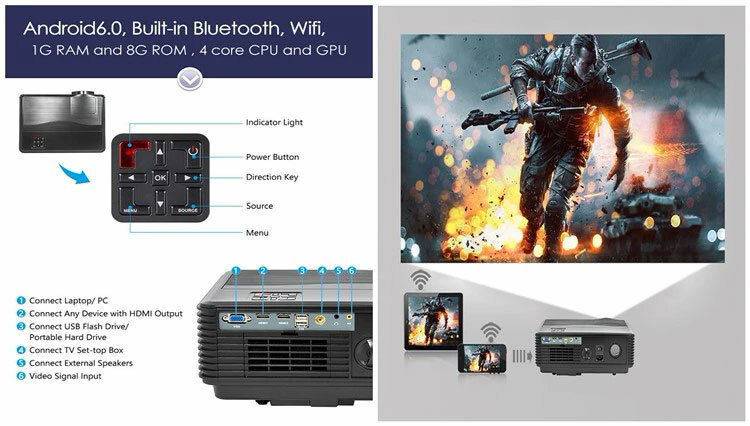 Multiple port like HDMI*2, USB*2, VGA, TV, AV, Audio. Good cooling, use the dual cooling fan system, can enjoy freely. Use advanced Noise Suppression Technology, the projector noise is nearly 90% lower than traditional ones. 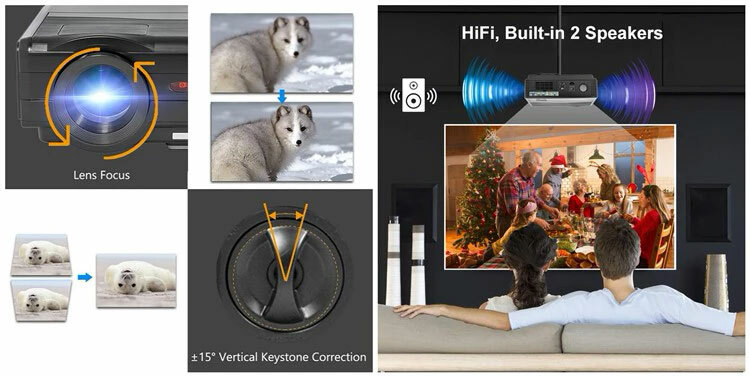 The projector is ±15°Vertical Keystone Correction and manual focus function. Built-in 10W speaker, provide a surround sound style experience. It can be projected 35" to 200" at the distance of 1.3m to 6.25m. Enjoy the large screen with families and friends. 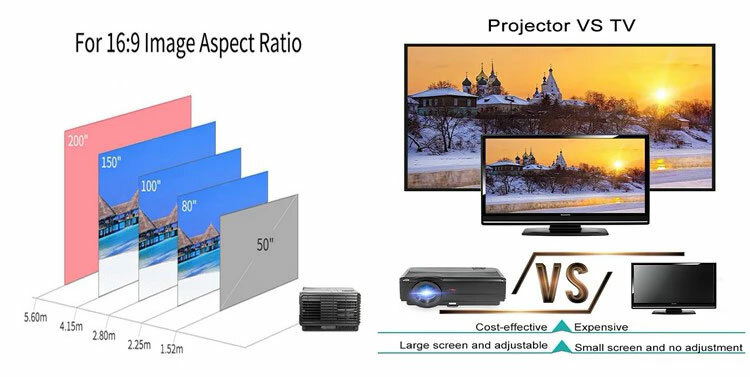 The projector is cost-effective, large screen and adjustable, it is better than TV. Native resolution is 1280*800, support max resolution 1920*1080, bring you a clear and nice picture. USA Brand "Bridgelux" COB LED light source, lifetime is up to 50000 hours, no need to replace the lamp.